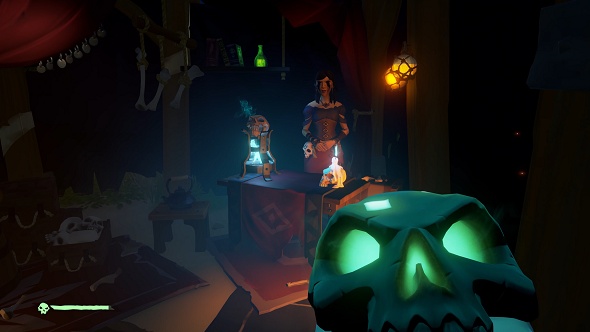 During the closed beta for Sea of Thieves some players found a way to abuse the game’s brig mechanic. Developers Rare intended it as a way for a ship’s crew to vote a disruptive player into a cell below deck. But the closed beta saw teams of three friends voting a random player who joined them into the brig just so they didn’t have to share their ship with someone else. Here’s some more we know about Sea of Thieves thanks to dataminers. Originally, the brig was intended to lock up the trolls, not to be used by them. It was introduced as an elegant way to deal with a problematic player in-game. A unanimous vote will send a disruptive player below deck to cool off, but the other players can then punish this player further by choosing to interact with them as they are trapped in the cell. For now, solo players are better off taking control of a small ship, rather than joining a crew of randoms. If you do choose to join a large galleon as a solo player, you will still be at the mercy of the rest of your crew, unfortunately. Hopefully those who play as a team of three will choose the new three-person crew option, instead of locking a random fourth player in the brig immediately.